years of experience, advanced professional training and an ongoing dedication to his clients’ objectives, Doug has established a successful and trusted financial management practice. Doug graduated from the University of Calgary in 1978 with his Bachelor of Science and has earned numerous designations in the investment industry including Chartered Financial Planner (CFP), Canadian Investment Management (CIM), Fellow of the Canadian Securities Institute (FCSI). Doug’s scientific and analytical background is mirrored in the fundamental approach to investing applied by everyone on the Retire First team. Doug was awarded the Portfolio Manager designation from IIROC in 1992. He also holds the Branch Manager designation. Doug leads a balanced lifestyle, enjoying time away from work with his three grown children and his wife of 33 years, Margaret. He is an avid cyclist, enjoys most water and winter sports and works out regularly at the gym. Born and raised in Alberta, Doug has been serving investors in Central Alberta since 1982. 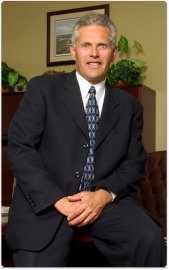 Doug has established a successful and trusted financial management practice. Doug graduated from the University of Calgary in 1978 with his Bachelor of Science and has earned numerous designations in the investment industry including Chartered Financial Planner (CFP), Canadian Investment Management (CIM), Fellow of the Canadian Securities Institute (FCSI). Doug’s scientific and analytical background is mirrored in the fundamental approach to investing applied by everyone on the Retire First team. Doug was awarded the Portfolio Manager designation from IIROC in 1992. He also holds the Branch Manager designation. Doug leads a balanced lifestyle, enjoying time away from work with his three grown children and his wife of 33 years, Margaret. He is an avid cyclist, enjoys most water and winter sports and works out regularly at the gym.